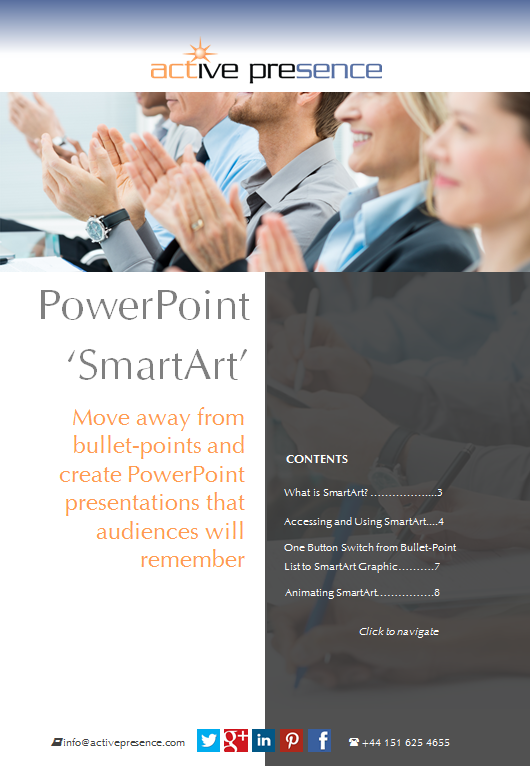 Thank you for requesting a copy of our expert guide ‘PowerPoint SmartArt’. You can view and download your copy now by clicking on the cover image. You may also be interested in downloading the ‘PowerPoint Ideas’ guide, which has a broader scope, outlining the key concepts and characteristics of memorable sales presentations, along with a checklist of the common pitfalls to avoid.